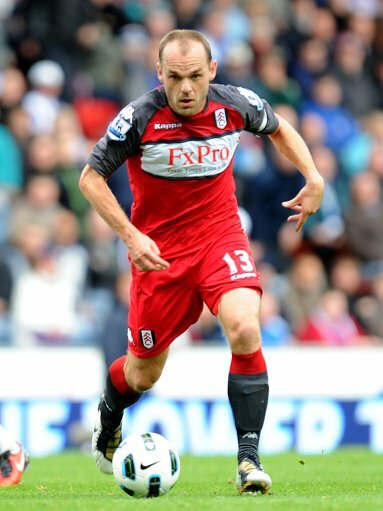 Fulham captain Danny Murphy has pulled out of his punditry commitments with ITV tonight amidst fears that any on-air questioning of the comments regarding ‘tough tackling’ he made last week could lead to further uproar from myopic pricks with nothing else to whine about. Murphy was scheduled to appear as a studio pundit for England’s Euro 2012 qualifier with Montenegro tonight but, after having a brief chat with manager Mark Hughes after training yesterday, has now decided to give up his place on the panel ‘by mutual consent’. Pathetic and ridiculous, yet so terribly predictable. Murphy’s withdrawal just serves to highlight the reason that footballers give such asinine and uncontentious responses to questions these days. Colouring your opinions with even the faintest hues of cognitive thought is simply not worth the accompanying torrent of crap.